THE FILIPINO MIND: SATUR OCAMPO - Who is he? SATUR OCAMPO - Who is he? On March 16, 2007, Philippine police arrested veteran journalist, activist, former political prisoner and torture victim, Congressman Satur Ocampo, on the steps of the Philippine Supreme Court. One day earlier, in Washington DC, California Senator Barbara Boxer opened hearings on the mounting death squad executions and kidnappings in the Philippines. Nearly a thousand union leaders, clergy members, lawyers, human rights activists, peasants and elected officials of the social action party lists led by Representative Ocampo have been victimized. While the Philippine government, headed by President Gloria Macapagal Arroyo, is under investigation in the US Senate for the ongoing murder of her opponents, Senator Ocampo is charged, together with 50 other government critics, of having ordered the execution of a group of Marcos opponents… 22 years ago. The government ignores the fact that Ocampo was in prison at that time, a political prisoner of the Marcos dictatorship. The irony of a former victim of human rights abuses being accused of ‘crimes against humanity’ by a regime under growing international censure was not lost on the Philippine public. They are accustomed to the macabre behavior of military officers who cart around skeletal remains (‘re-cycling the bones’), disappear and re-appear incarcerated ‘witnesses’ who testify and recant, only to testify again. Satur Ocampo, a 67-year-old veteran of the anti-Marcos struggle, heads the Bayan Muna (‘People First’) coalition. Within the pro-democracy public in the Philippines there is a serious and urgent concern for the safety of Ocampo, now in police/military custody. National elections are set for May and the human rights situation is rapidly deteriorating. Over the last six months the killing and harassment of members of the coalition of social action parties have increased in tandem with the growing turnout at their public meetings. Political observers have feared that this campaign will culminate with the killing or arrest of the entire slate of leftists campaigning in congressional elections. Their electoral base among the urban poor, workers, peasants and women is especially vulnerable to political killings. Unlike the upper and middle class politicians in the major elite-based traditional political parties (called ‘trapos’ or rags, by working class Filipinos), Ocampo is the son of poor farmers who was born and raised in Central Luzon, a hot bed of peasant rebellion. Many of the famous Communist HUK guerrillas who fought to expel the Japanese occupation forces during World War II were from this region. 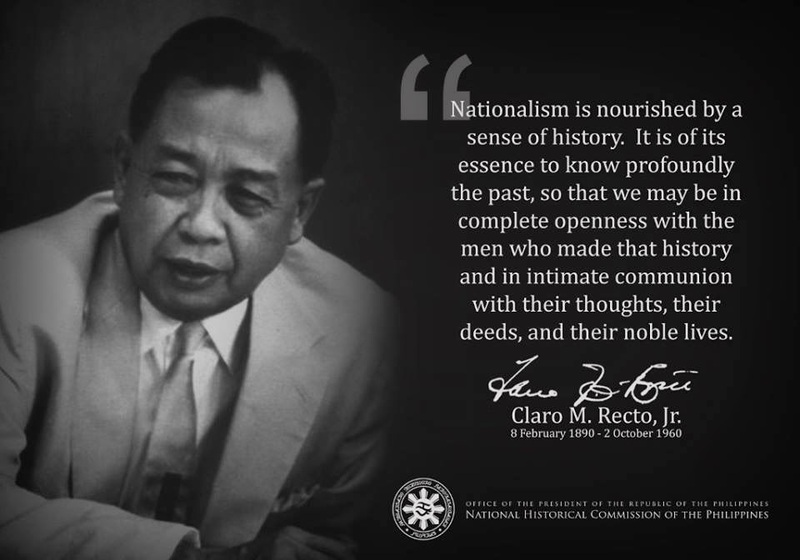 As a young activist and journalist in the 1960’s, Ocampo helped found the nationalist youth movement, the Kabataan Makabayan and the Movement for the Advancement of Nationalism. He was a well-regarded journalist and was elected vice-president of the Philippine Press Club. When Ferdinand Marcos declared Martial Law in September 1972 he was forced into hiding. He played a major role in the formation of the National Democratic Front, which was a key element in the overthrow of the Marcos regime in February 1986. Ocampo spent 9 years in prison under the Marcos dictatorship, where he was brutally tortured. In prison he led several protests by the thousands of political prisoners. Despite prolonged imprisonment he was never convicted by the military courts set up by the dictator. In May 1985, he escaped prison. He re-surfaced in 1986 to head peace talks between the new Philippine President, Corazon Aquino, and the National Democratic Front. These talks collapsed in 1987 when Aquino ordered the military to fire on farmers who had been demonstrating over land reform issues near the presidential palace, killing and wounding scores. Ocampo was re-arrested in 1989 with his wife, a fellow journalist and academic, but the Courts released them in 1992 for lack of evidence. In early 2001, under popular pressure the Philippine Government agreed to allow the participation of social action parties in national elections. Ocampo headed the list of a coalition of leftist candidates as president of the Bayan Muna (People First) Party and won almost 12% of the national vote. This entitled the coalition to 3 seats in the Philippine Congress. For the first time in many decades, progressive nationalists and leftists took their place in Congress, debating and proposing popular social legislation. Their advocacy of socio-economic reforms won them a great following among the majority of poor Filipinos. Membership in their grass roots organizations rose phenomenally. For the first time in recent decades the poor had some of their ‘own’ as elected representatives in Congress. On January 16, 2001 President Joseph Estrada was ousted for corruption. His Vice President Gloria Macapagal Arroyo took over the presidency. Shortly after the May 2001 national elections Bayan Muna officials, elected provincial representatives and activists in the more remote parts of the country, like the Visayas region, Bicol, Mindanao and Mindoro, were assassinated. President Macapagal took advantage of President Bush ‘war on terrorism’ to eliminate her opposition. The Philippine president immediately pledged her regime to Bush’s ‘coalition of the killing’ and linked her leftist opponents with ‘global terrorism’. The killings and kidnappings spread and intensified in tandem with the influx of US military aid and the arrival of military advisers. According to church human rights groups, the list of murdered political leaders included individuals from all sectors of civil society: journalists, political and social activists, union leaders, clergy, lawyers and judges, peasant leaders and human rights monitors and witnesses to human right violations were killed. The modus operandi of the extra-judicial executions closely resemble those of the Colombian death squads allied to the military and Uribe government: Young men in ski masks (called ‘bonnets’) on motorcycles shoot their victims openly, often within close proximity of police or military camps. Arrests are almost never made, eyewitnesses are killed and convictions are unheard of. All the data point to strong ties between the death squads and the military and the military to the Macapagal regime. Of the twelve Philippine military and militiamen implicated by the regime, only three, very low-ranking soldiers have been charged in connection with the 840 assassinations and over 200 disappearances. Provincial student leaders affiliated with any of the Bayan Muna coalition parties and Protestant Church-affiliated youth social action groups as well as elderly clergymen, women active in the provincial branches of the Gabriela (Women’s) Party, young school teachers, village mayors and village council-people, and human rights investigators have been murdered since January 1, 2007. The scope of the political killings and general insecurity has forced the US, Canadian and Australian Chambers of Commerce in the Philippines and the governments of Canada, Norway, Switzerland and Belgium to press the Macapagal regime to rein in the military sponsors of the death squads. An Amnesty International report, released in August 2006, pointed to the regime’s responsibility, documenting the killings, torture and imprisonment of government critics and activists. On March 20, 2007, the Financial Times of London reported that even the anti-union Wal-Mart, Gap and other international business groups, operating in the Philippines, urged the Philippine government to put a stop to the killing of labor leaders, lawyers and clergy involved in workers rights. The government denies military involvement and the systematic nature of the killing. Macapagal accuses local and international human rights and religious organizations of being “fronts for communists”. The military and police high command dismisses the killings as ‘communist purges’ against their own members while at the same time, announcing its campaign to ‘wipe-out’ Communists and the ‘members of Communist fronts’. Impunity does not encourage logic. The brazen disregard of international opinion is illustrated by a recent killing: An eye-witness who had testified before the United Nations Special rapporteur, Phillip Alston, on the death squad killing of her father-in-law, was herself killed in the same fashion – young men with ski masks on motorcycles within a block of a heavily guarded police camp. Despite and perhaps in defiance of the wave of repression and terror, the leftist party list coalition doubled its elected representatives in the 2004 elections. In congress the poor peoples’ representatives fought for and secured important legislation benefiting overseas workers, victims of domestic violence and juvenile protection. In February this year President Macapagal Arroyo’s National Security Adviser warned her of the growing mass support for the progressive party list candidates, describing them as ‘Communist Fronts’. With ominous overtures he cited their popularity as a reason to ‘disqualify’ them in the upcoming elections (May 2007). The meaning of ‘disqualification’ became very clear when numerous men and women, including several attorneys, leaders of indigenous minorities and peasants were murdered within days of filing their candidacy. ‘Disqualification’ is the Macapagal regime’s codeword for assassination. There is a genuine danger that Congressman Satur Ocampo will be harmed or killed if the government or military succeeds in having him physically transferred out of the capital, Manila, to the more remote Visayas region where the military and death squads operate in public with total impunity. Because of the widespread opposition to Ocampo’s arrest, the military attempted to secretly fly him out to the Visayas in a private ‘corporate’ Cesna, despite orders to the contrary from the Supreme Court. The military were thwarted in mid-air by a judicial ruling in the Visayas. A petition to the Philippine Supreme Court to reject the trumped-up charges against Ocampo is pending. The President’s spokesman reported that Macapagal Arroyo turned ‘livid’ when she learned that Congressman Ocampo’s attorneys had managed to file a judicial petition with the Supreme Court. Like President Bush, judicial and constitutional procedures are seen as restraints on absolute power. Ocampo is not alone. His comrade in the Anakpawis (Toiling Masses) labor party, the 75-year-old veteran labor leader, Congressman Crispin Beltran, has languished for the last 16 months in a military prison hospital under trumped-up charges of rebellion during the Marcos dictatorship over 25 years ago. The government under ‘President’ Gloria Macapagal Arroyo (who is on tape instructing her advisers to rig the presidential election in 2004) has gone to great lengths to physically annihilate political opponents and social movement leaders –who are increasingly seen as the genuine representatives of the great majority of the Filipinos. Except for the unconditional support of the Bush White House, her regime faces increasing international ostracism and isolation. Yet unless voices are raised, particularly in the run-up to the congressional elections, popular leaders like Satur Ocampo, Beltran and many others will not be allowed to participate or even escape Macapagal’s ‘masked motorcyclist’ death squads.